Bambi Kellermann is Evita Bezuidenhout's sister - and that's where the family ties end. Whereas Tannie Evita is still the most famous white woman in South Africa, Bambi became a grand horizontal of the northern hemisphere and a super-stripper. 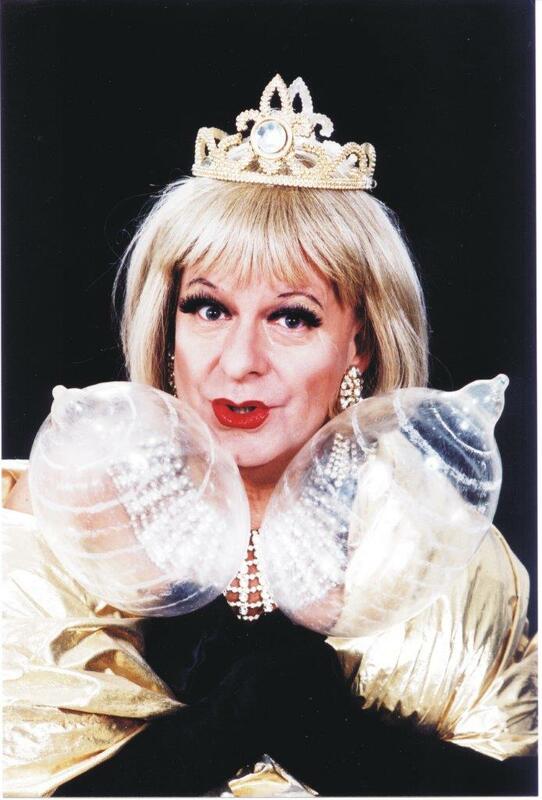 NEVER TOO NAKED is the name of her game and she will be at the Alexander Bar on Thursday 11 and Friday 12 April at 9pm with some of her legendary bedtime stories. The little boeremieisie from Bethleham in the Orange Free State found herself in Vienna in the late 1950s and soon the sweet conservative religious virgin made way for the sophisticated, funny and powerful woman who could fight the world with irony, humour and balls. Her conversation is not for the weak-hearted - and as she says: "Bring your own condoms of prejudice and fear. You have been warned. Now lie back and enjoy it."